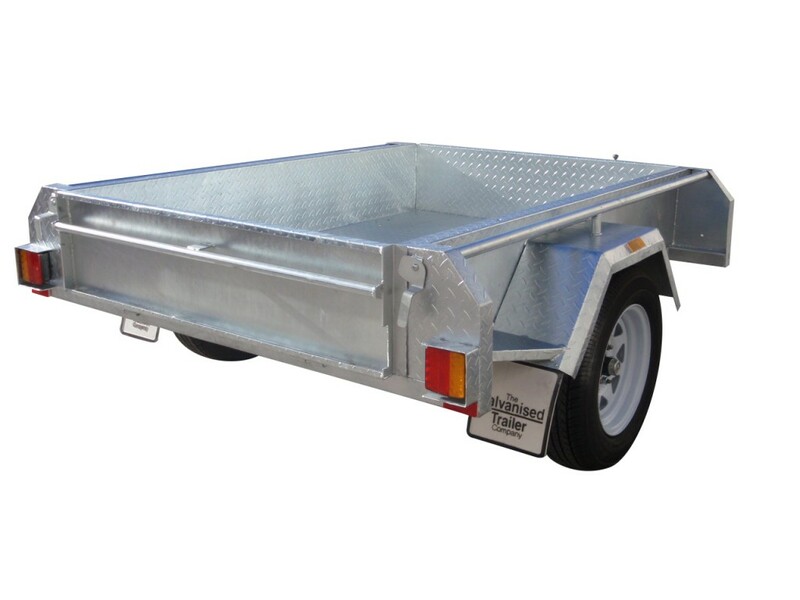 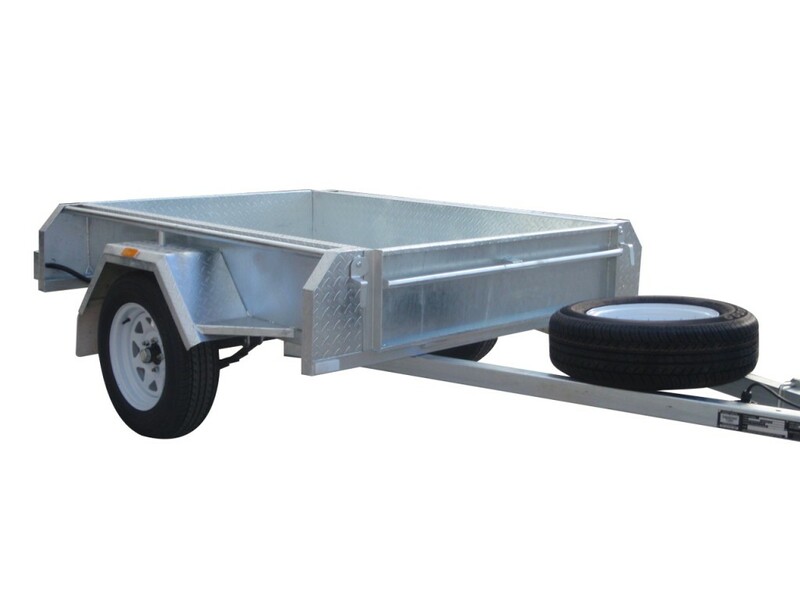 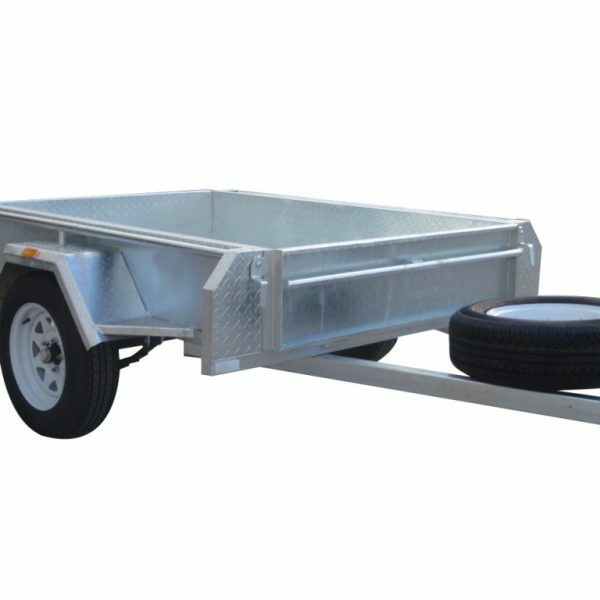 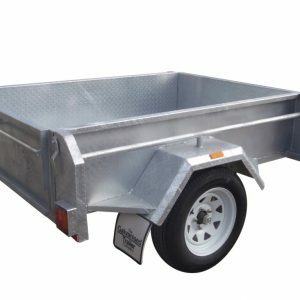 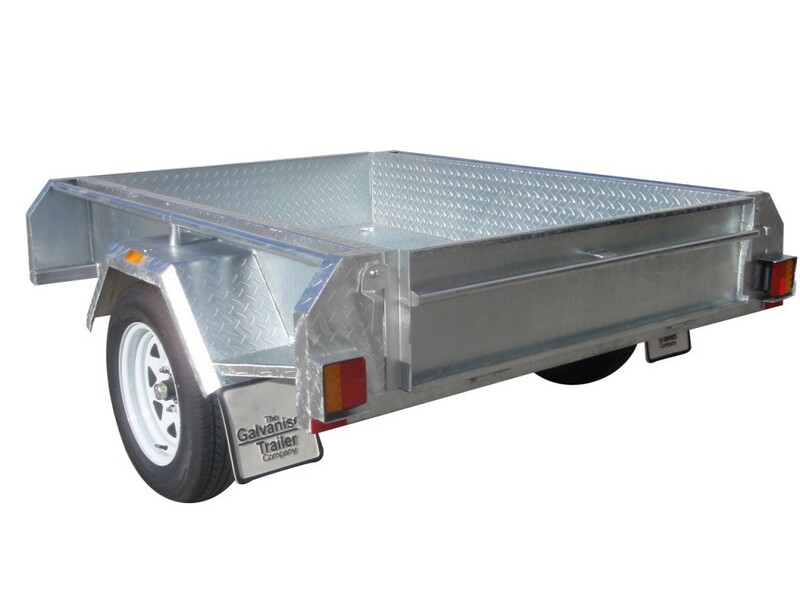 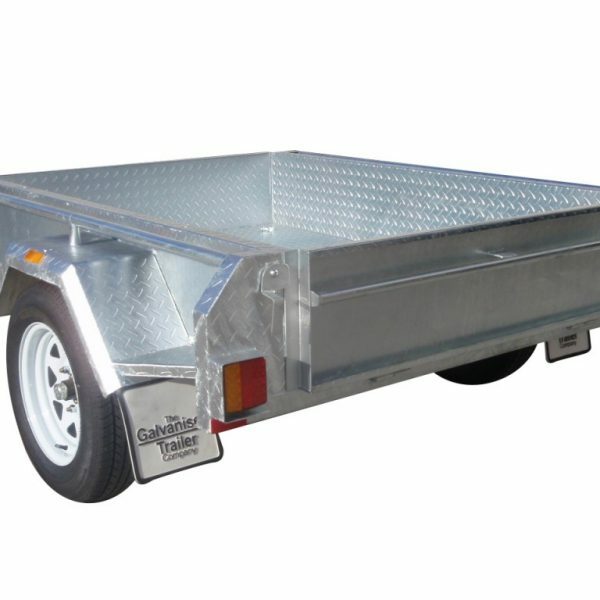 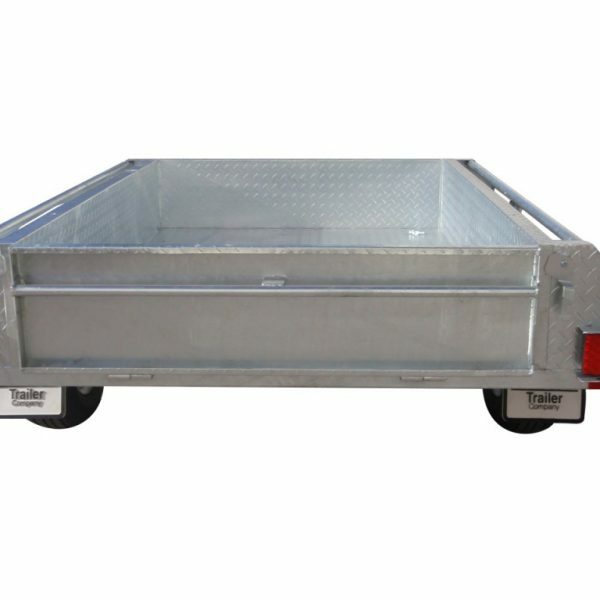 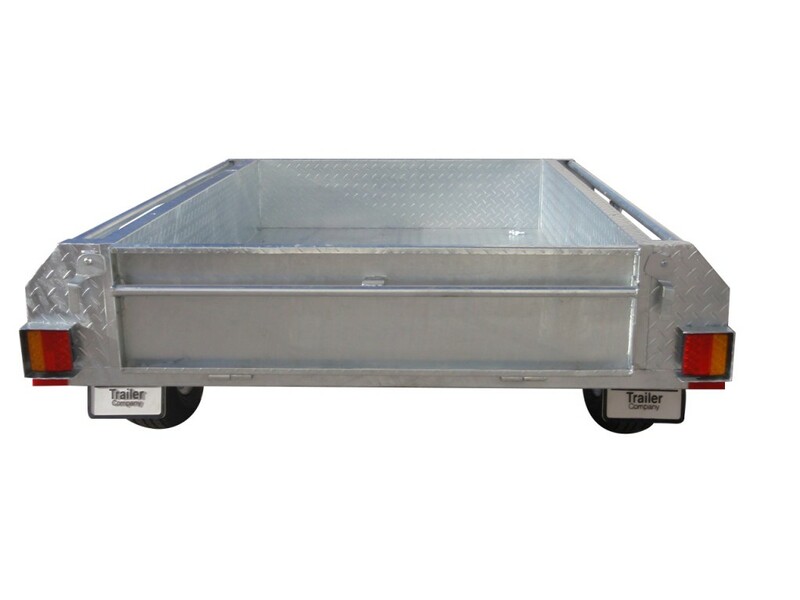 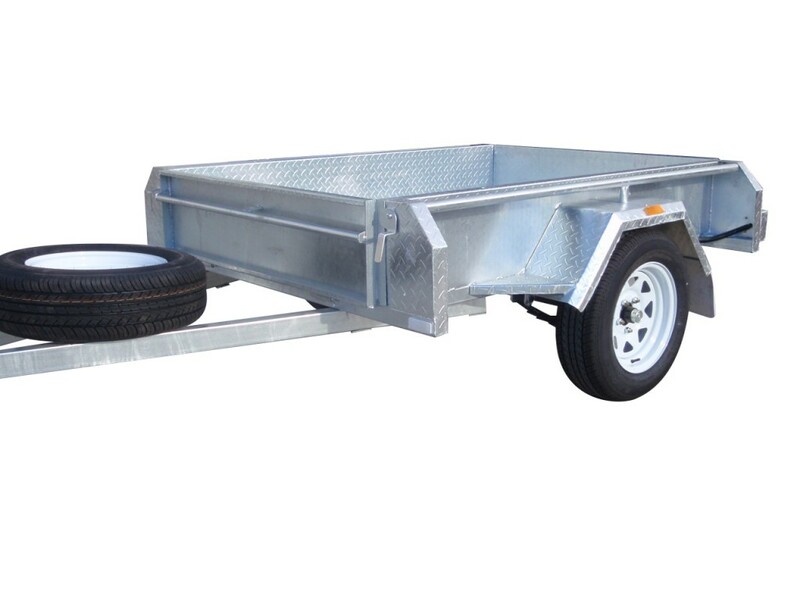 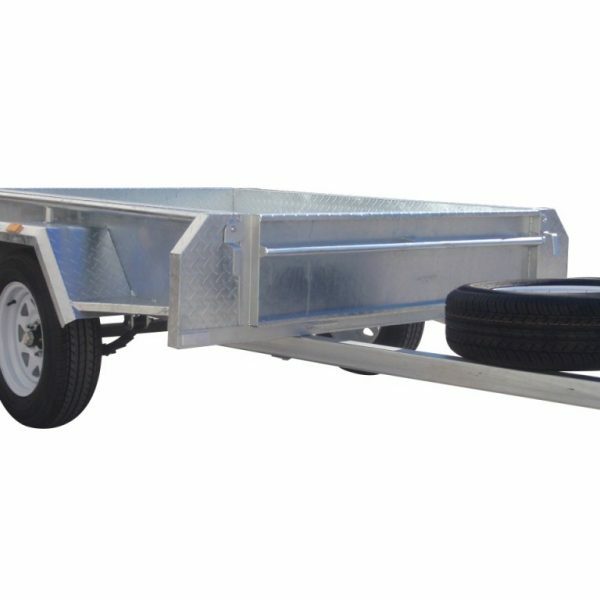 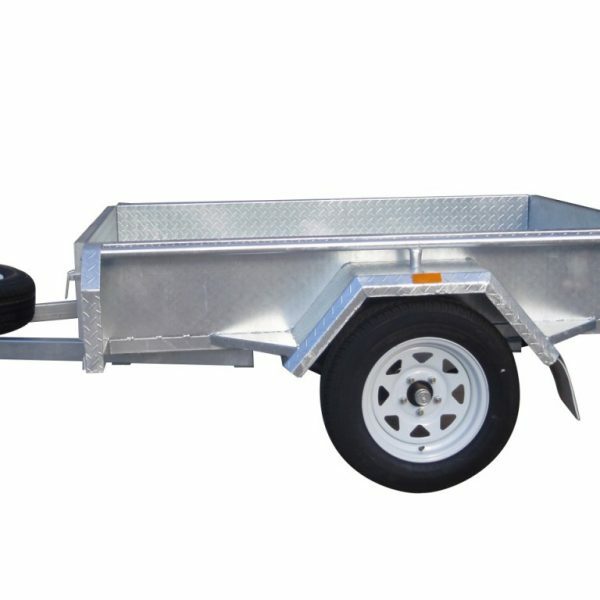 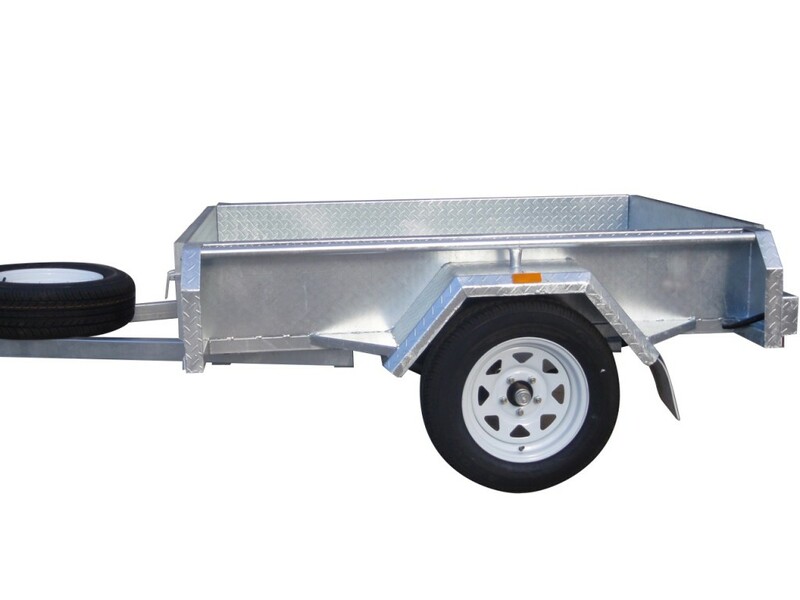 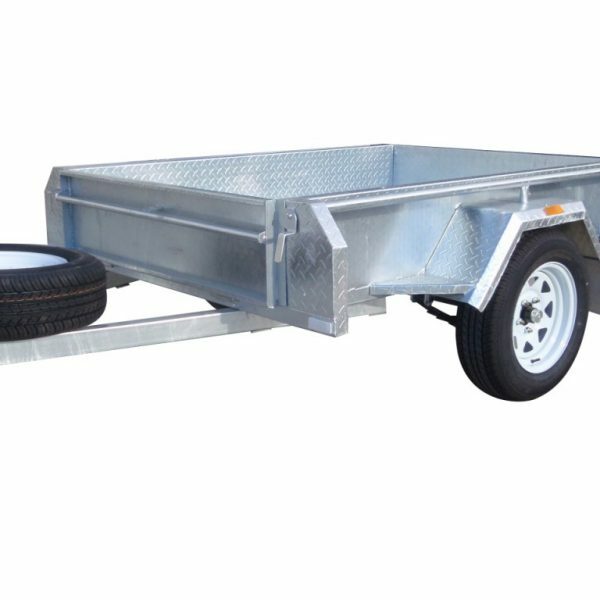 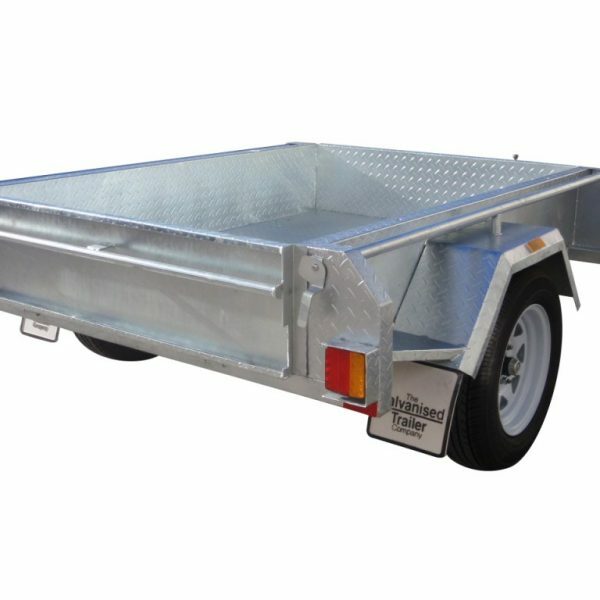 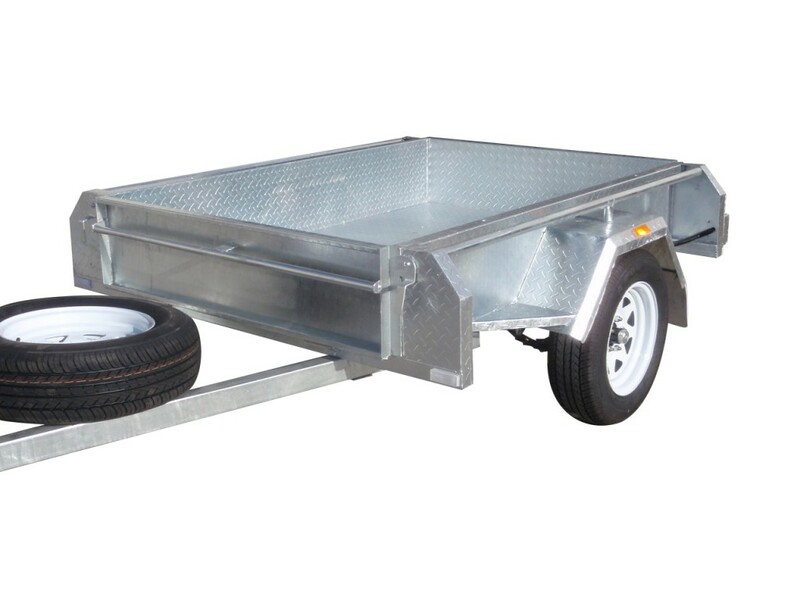 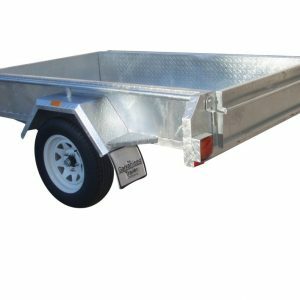 Our single axle 6×4 trailers are very heavy-duty hot dip galvanised trailers with a unique full checker plate design. 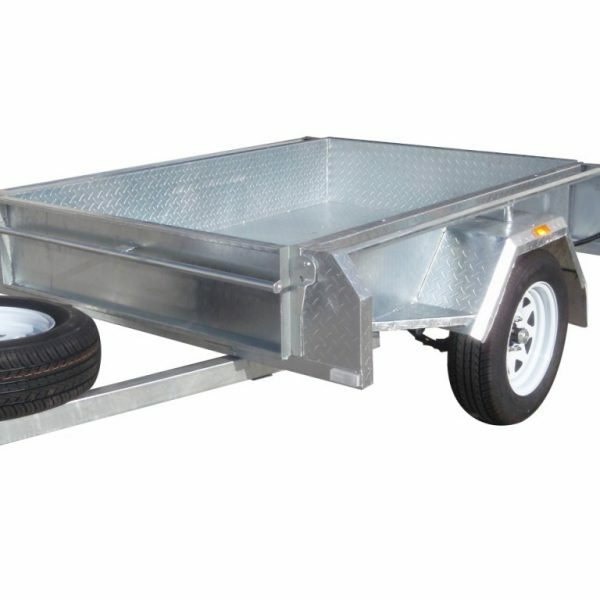 We construct the same 6×4 single axle trailers chassis design as we run on our 2 tonne tandems. 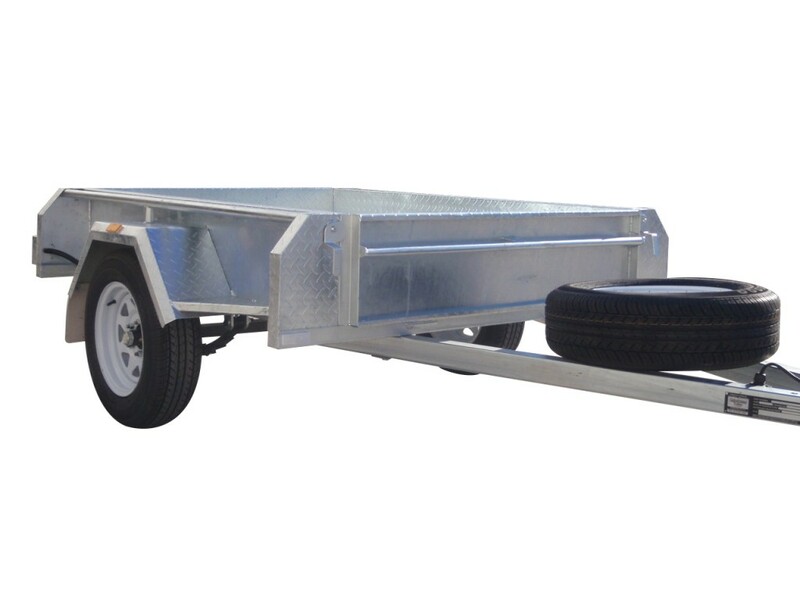 They are complete with brand new wheels & tyres and 6 leaf slipper springs. 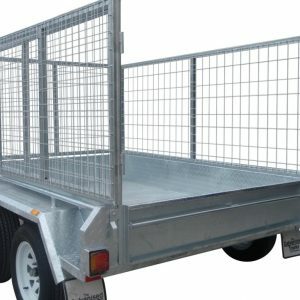 Please see at the bottom of the page for our range of extras including pull out ramps, drop down ramp doors, ladder racks, mower pads and many more!